Some scenes contain mature themes and language, not suitable for very young audiences. 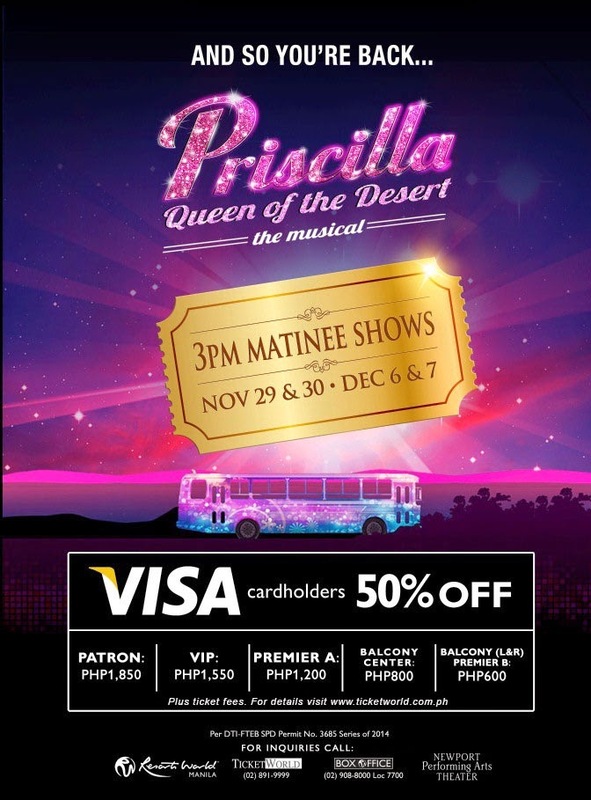 With flamboyant costumes, extraordinary headdresses, and a customized bus as its sparkling centerpiece, Priscilla is a must see spectacular, and it’s coming in May 2014! Based on the smash hit movie, Priscilla: Queen of the Desert is the heart-warming and flamboyantly entertaining musical about the adventures of three drag artists who hit the road on a battered old bus as they go on a journey of love and friendship, where they end up finding more than they could have dreamed of.